Selling on Trade Me (www.trademe.co.nz) is incredibly easy with Ivor ERP System. With a few clicks to set up a Trade Me listing, products that you have created on Ivor ERP for your store point of sale and eCommerce websites can be loaded to Trade Me for sale. Listings can be sent by List Now feature or maintained by automation timers which can be maintained always, or on specified days or times. 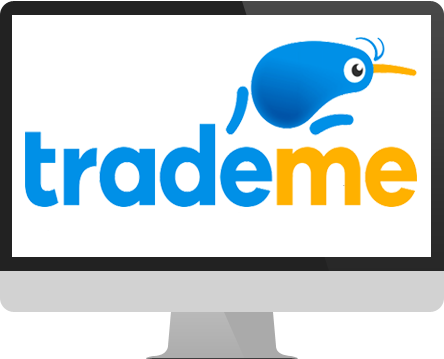 *Trade Me is the largest e-commerce platform in New Zealand. While international merchants outside Australia and New Zealand are welcomed to use Ivor ERP System, you may not be permitted to sell on Trade Me as you are in overseas. Whether or not you are able to sell on Trade Me are subject to Trade Me’s sole discretion, for which Ivor Software has no control over this. You never have to look at your stock inventory sheet and login to your Trade Me account to maintain your listings. Once you set up the product with a prepared Trade Me listing, Ivor ERP will maintain it according to your preference – listing it once or repeatedly is never a problem. You also won’t have to worry about overselling as Ivor ERP System will only create new listings on Trade Me when you have stock available on hand. If you have been selling products with variants, you would have had headaches to manage stock inventory. To list products in different options on separate listings can cost you a lot more and also result in hitting the listing limit easily. To list products with variants on one single listing, you can hardly manage stock inventory because you wouldn’t know what your customer are bidding until they email you. By the time, you read the email, it is likely that you already ran out the stock for the size or colour that your customer might want to take. With Ivor ERP System, it works intelligently to resolve this problem by sending email to your customers immediately after the auction is closed and request the customer to choose the option by clicking an encrypted link. When your customer completes this step, Ivor ERP will automatically reserve the stock inventory for this sale. You never have to look at your Trade Me sold items and manually enter them into your stock inventory management system anymore because Ivor ERP System will import all orders from Trade Me automatically with the shipping address and order item’s details all together. It can, depending on your preference, combine Trade Me sold items from the same customer automatically. Ivor ERP System does all the hard word for you to run a Trade Me store.